First, melt the butter in the microwave. Don’t melt the whole thing, just pop it in on low for 1min. Put it in a mixing bowl and add the brown sugar, white sugar and vanilla sugar (or extract). 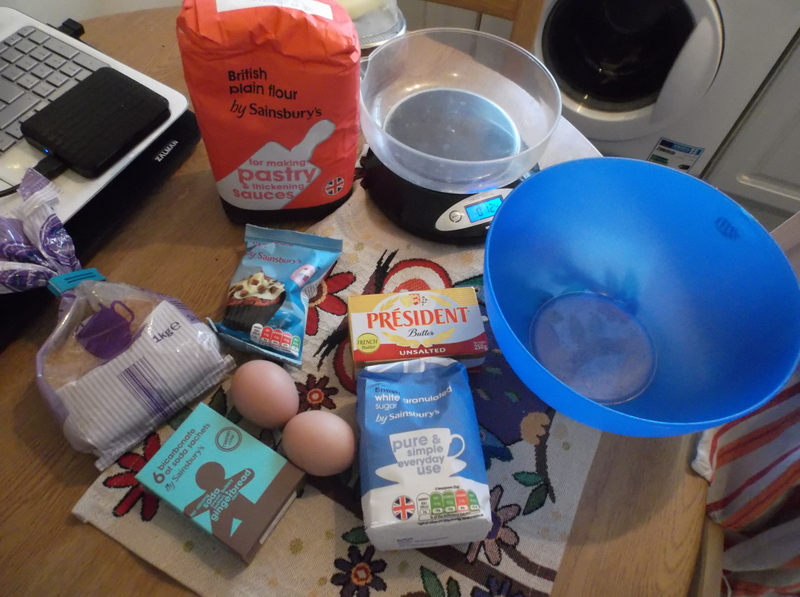 Start mixing it all until you get a brownish mixture. Add the eggs and keep mixing it well. 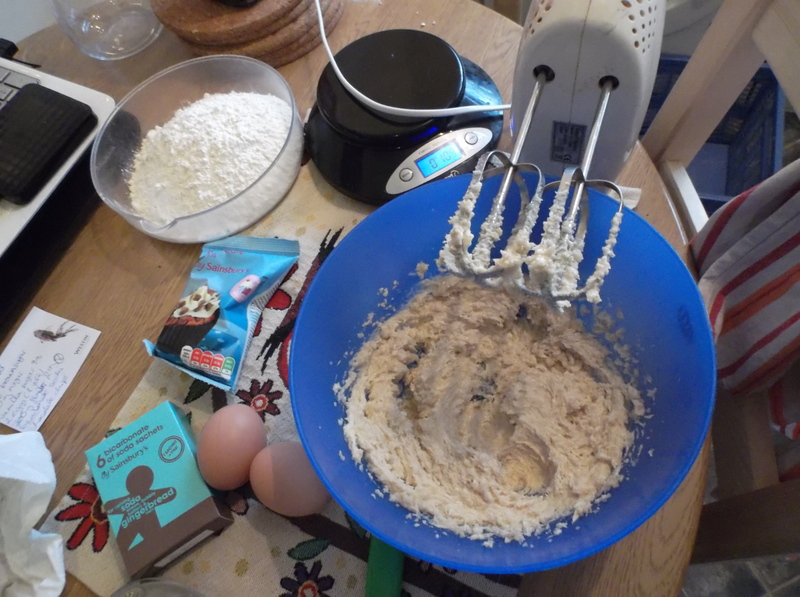 Pour the bicarbonate and slowly incorporate the flour while you mix. 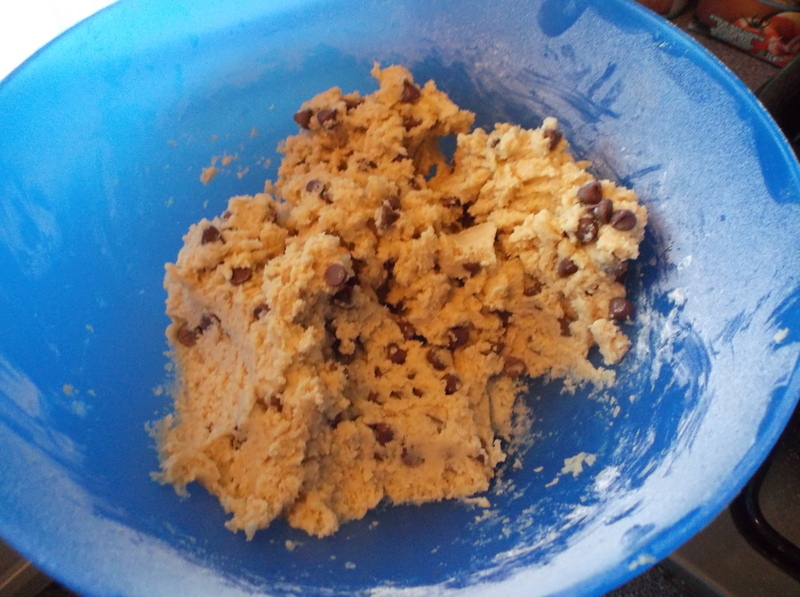 Include the chocolate chips and give it one last whirl. 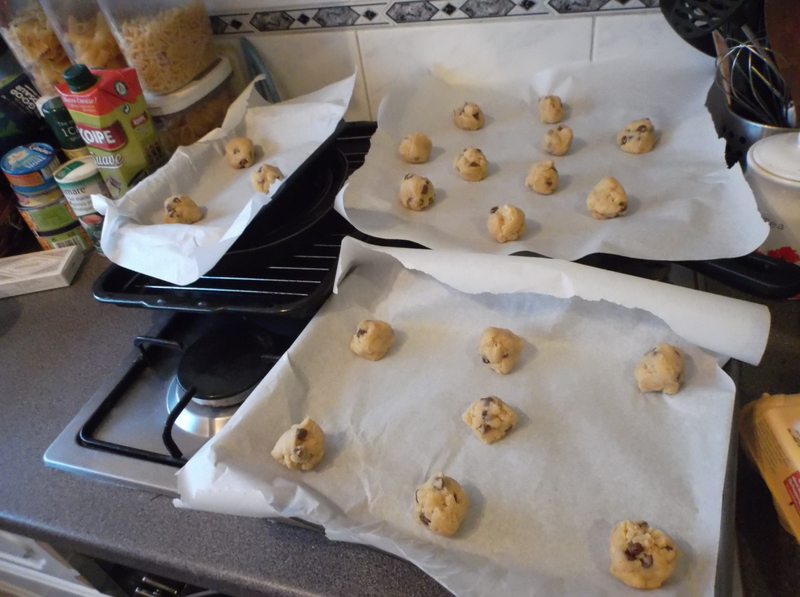 Using a spoon (I also saw one video where the guy used an ice cream scooper), make little balls about 3inch apart on a baking tray covered in paper. Insert the tray in the middle of the oven and bake about 15min or until the edges start to look golden brown. Remove and leave to cool on the side. 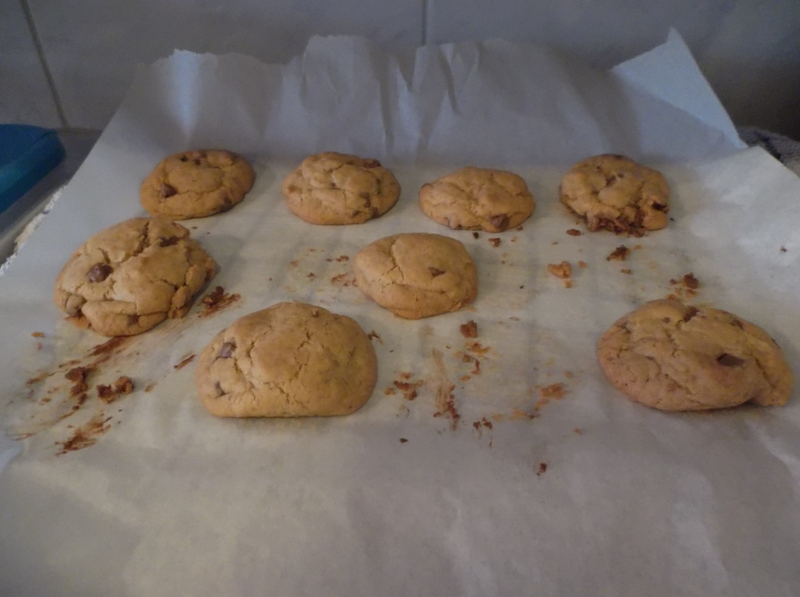 If you like them particularly chewy, eat when they’re just cooling. If you prefer them crunchy, wait until the next day. Tags: baking, calories, chocolate chip, cookies, sugar. Bookmark the permalink.